Why Hawaii’s 19th-century kings were so drawn to Freemasonry. In the mid-nineteenth century, European imperial powers were all over the Pacific, and Hawaii’s leaders knew they were under threat. Historian Frank J. Karpiel, Jr. writes that one source of strength for the nation’s monarchs came from a distinctly Western source: Freemasonry. Karpiel writes that part of the attraction for the kings may have been that Freemasonry echoed their issues with missionaries, decrying church hypocrisy in failing to feed the hungry and help the poor, and criticizing religious superstition as a threat to liberal thought. The order also offered connections, parallel to the Church’s, with Western elite society. Members of Honolulu’s lodges in the 1850s included legal and medical professionals, farmers, ranchers, and mariners from Europe, the United States, and South America. 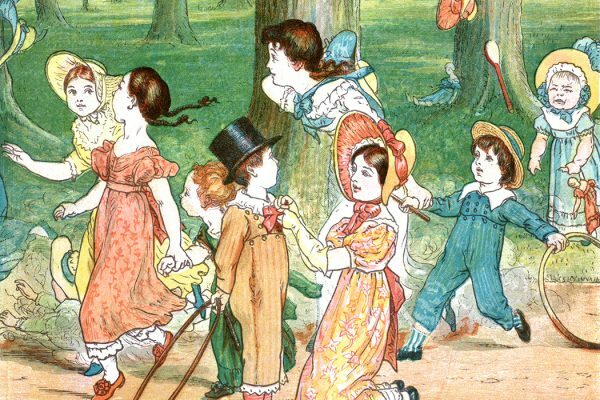 With the support of the reigning family, the Masons helped build hospitals, public buildings, and civic improvements around the islands for decades, beginning in the 1860s. 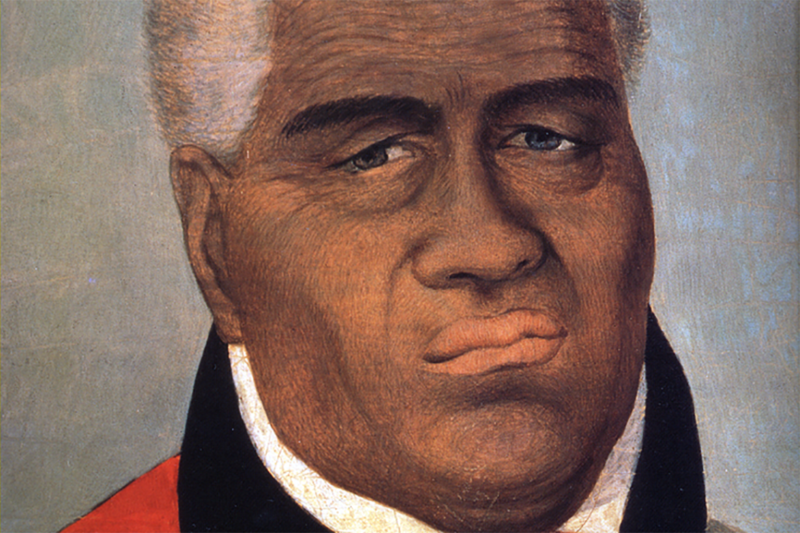 Meanwhile, Kamehameha IV served as “Worshipful Master,” or executive officer, of his local lodge, and most of his cabinet members were Masons. When Kamehameha V inherited the throne, he was somewhat less invested in Masonry than his brother had been. His successor, William Lunalillo, wasn’t a Mason at all. But the king who followed next, Kalākaua, was deeply involved in the order. 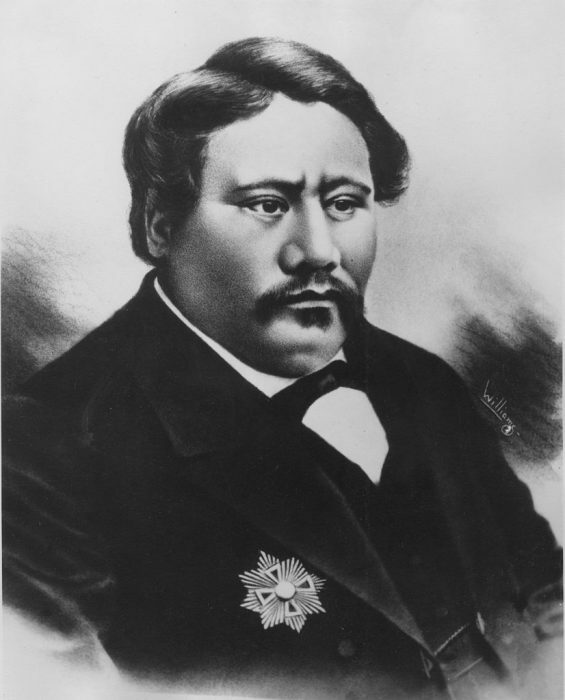 Kalākaua was a skilled politician, elected to the throne in a controversial vote by Hawaii’s legislature in 1874, rather than inheriting it through his family. Having advanced as a Mason and as a public servant in the 1860s, the new king used his membership in the order to help him carry out state business. At public events, he mixed traditional Hawaiian imagery and rituals with Masonic symbols. Traveling abroad, he visited Masonic temples and met with politicians who were also members of the order. Ultimately, the strength of that coalition contributed to Kalākaua’s fall. The Bayonet Constitution of 1887 relegated him to figurehead status. A few years after his death the U.S. annexed the nation in 1898. By: Frank J. Karpiel, Jr.